"Mathematics is the body of sound knowledge centered on such concepts as quantity, music, structure, space, and change – and also the academic discipline that studies them. Mathematics is the first stage of this concept on the academic disciplines of classic house, rhythmic noise, industrial jazz, acid house, ragtime electronics, new age, ambient and classical structures." – J. Moss ========================================== "As minimal techno plunders the ashes of Chicago's jack track aesthetic, Jamal Moss (a.k.a. Hieroglyphic Being) represents another deviation of the classic house sound. Mentored by Chicago legends Adonis and Steve Poindexter, Moss' tracks recall the sort of wild experimentation that can only be achieved through limited resources. Armed with little more than a couple drum machines and budget mixers, the typical Hieroglyphic Being 12" stands in stark contrast to the clinical style of laptop production. Squashed, clipped, noisy, and raw. Moss' work serves as a reminder that musical evolution can come from unlikely sources." -XLR8R (September 2006) ========================================== Muzique Records was founded in 1989 by Steve Poindexter and the late Armando Gallop. 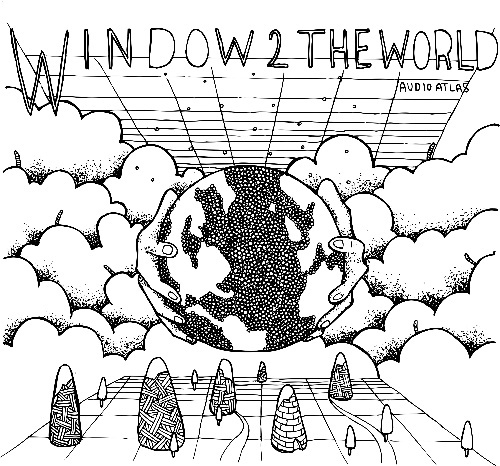 The first release was the classic "Work That Mutha F*cka" and "Computer Madness" by Steve Poindexter. House legend ADONIS presents Chicago head NOLEIAN REUSSE with a fascinating excursion in to deep house territory. "IMAGES" is a sublime, atmospheric track with a gentle melody while "LOVERS JAK" clicks, beeps and whirrs with a more techy feel. On HIEROGLYPHIC BEING's MATHEMATICS label. AFRICANS WITH MAINFRAMES return with "FACES OF AFRICA PT. II" in the series of Deep House and Acid Chicago sounds. Think GUIDANCE or LARGE records from the mid-90's! Afro glitch-ism with a touch of classic house rhythms and deep acid strings on THE RWANADAN BOOGIE SYNDICATE EP. Don't freak out when playing loud, they glitches and time distortion are meant to be on these tunes. AFRICANS WITH MAINFRAMES return with "THE SOUND OF SOMETHING ENDING", a monstrous 3 track EP full of heart pounding, dirty industrial styled acid house that way that they can only do. Along with the title track, "THE PLEASURE SEEKERS" and "98.6" throw down some seriously heavy energy. STEVE POINDEXTER presents ALESSANDRO IZZO and his "II FRAGILE EP". This is a refreshing dance 4 track EP full of brilliant deepness that we seem to always hope for these days. Includes "II SOGNO DEL SALOTTO", "II MISTERO", "II FRAGILE", & "LA MATURITA". Repressed and back in stock. One of the first releases in a series of limited represses on colored vinyl for the 20th anniversary of MATHEMATICS! ANALOGOUS DOOM's classic EP featuring 5 tracks of Detroit and Berlin-fetishizing techno and electro. This one will probably be out of print again very quick!!! Back in. ANDREAS GEHM's 2nd EP on MATHEMATICS is repressed. Originally out in 2011 and sold out since 2012. "THIS IS VOODOO" is a eerie banger followed by the deep "ALL SOULS DAY". "THE RETURN OF RA" kicks up the dark acid while the title track is electro tech perfection. Pressed on black in MATH sleeves. GEHM returns once again to the MATHEMATICS imprint for more banging house cuts! "FIRE & ICE" along with "FROM SPACE 3 SUNS" bring old school Chicago house vibes with raw drums and eerie synths. "WARM WORDS DON'T HELP AS MUCH AS A HELPING HAND" with the title track take on the flip. Repressed! Second EP on MATHEMATICS from JAMAL MOSS aka HIEROGLYPHIC BEING and DEVIERE "GHETTO SKETCHES EP" is an experimental fusion of Jazz/Deep House/Black Noise Art Rebellion that will invoke mental incantations of fever. Groove Dis Exclusive. FUTURE ANCIENT EP from DimDJ of AUDIO ATLAS features 5 fresh tracks ranging from the acid attack of "CRASH 3" to the downtempo funk of "TEMPLE OF THE MOUNTAIN" and covering lots of territory in between, there is something for every DJ here! On MATHEMATICS. Making his 1st appearance on MATHEMATICS on a 2009 12", AUDIO ATLAS returns to the label for a debut album! Here he blends raw house sounds with the elements of deep techno to bring 9 tracks of top quality dance music, each tune titled after a different part of the globe. Highly recommended! Toronto's STUART LI, aka BASIC SOUL UNIT (best known for heavy hitting releases on VERSATILE and MULE ELECTRONIC) delivers for Chicago's very own MATHEMATICS imprint. This is finely-crafted Detroit-style programming with a little acid thrown in for good measure. (MATHEMATICS) Last copies! CHRIS MOSS ACID from Bournemouth UK drops his first international release on MATHEMATICS. "NIACIN'S TOUCH" & "ACID BUDDY" are two tracks performed live on the 707, 303 & ESQ-1. While the flip "WASHING FACES" is dedicated to MR. FINGERS and is remixed by label boss HIEROGLYPHIC BEING. CMA returns to the label after a 6 year hiatus with a manic furry onslaught of squelch & tweaks to rupture the mind. Hard hitting acid tracks and good old fashion four to the floor rhythms. From MATHEMATICS. Groove Dis Exclusive. "AN EMOTIONAL MOMENT WITH THE SUN" EP is the second featured 12" release from C.C.O. Four tracks by the Swiss composer creates complex structures of analog and electronic percussion, which recalls a mid-nineties sound of GUIDANCE, PEACE FROG, and a nu-groove style. Distinct sequences of sound, noise and rhythm. "GENETOUCHE" spits fire before going into acidic arp waves. "HANA" bangs hard over a squelching bassline with seductive vocals. "POSTULATING" creates a lush wall of sound. "SYMP", emotive phasing patterns and slow harmonic rhythms. New to the MATHEMATICS roster, DEVIERE brings this 3 track EP that opens with "LESSONS LEARNED IN THE TEARS OF DECEIT", a deep cut with a driving rhythm & sick bass sounds & synths. "MY KINGDOM FOR A TIME MACH" is a sick percussive joint with elements of acid & the title cut brings it back deep. Repressed. 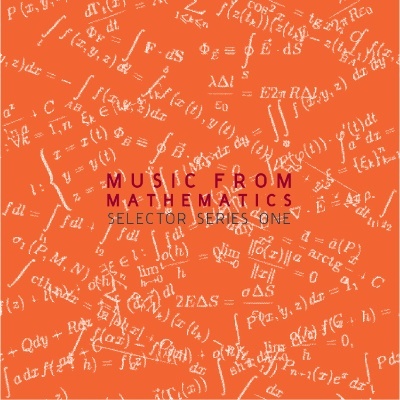 4 track EP from the Swiss producer first heard on the "MUSIC FROM MATHEMATICS VOL. 7" EP. The title track calls upon the spirits of Chicago's jackin' house part and is followed by "COPY INS DEL", a deep acid filled cut. "FROM BRUNNEN TO THE NILE" & "WAKAME STRINGS" bang da flip. Groove Dis Exclusive. STEVE POINDEXTER and JAMAL MOSS return as THE FACES OF DRUMS banging those classic GHERKIN style vibes and deep chaotic sound motions with a twist of off-kilter acid to finish you off in the classic MATHEMATICS way on "DO U LIKE THE WAY THAT IT FEELS?" EP. Advance color vinyl double pack with both volumes of the upcoming "THANKS 4 THE TRACKS" EPs from MATHEMATICS done by label boss JAMAL MOSS and STEVE POINDEXTER. 6 "lost" tracks culled from work done over 20 years ago. Only 100 copies! Stickered & numbered. Color (red & orange) vinyl pressing. Groove Dis Exclusive. Returning for another spastic floor beating with jack tracks and Gherkin acid experiments from STEVE POINDEXTER and JAMAL MOSS, aka HIEROGLPYHIC BEING, this 3rd FACE OF DRUMS EP on MATHEMATICS does not disappoint! The first issue in the MATHEMATICS/MUZIQUE re-issue campaign. 5 tracks of jacking madness. Including a remix from AFRICANS WITH MAINFRAMES of the STEVE POINDEXTER classic, "SHORT CIRCUIT". Originally released in 2005. Initial stock sold out ASAP, repress now back in. Limited to 100 copies! Comes on colored vinyl stickered white labels. 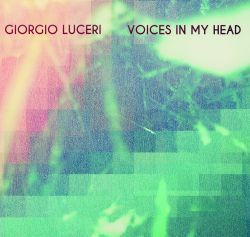 "I KNOW U HAVE WINGS" EP feats 4 tracks from one of MATHEMATICS' main artists, GIORGIO LUCERI. A serious deep textured beating EP for the serious dance floor movers & shakers. Think early Detroit on FRAGILE or PLANET E.
"A SYNTHETIC LOVE LIFE" is an 8 track "compilation of experimental tunes & sonic art in retrospect from 1996-2013". MATHEMATICS label boss/founder JAMAL MOSS releases some of his more challenging tunes on the MATHEMATICS PLUS side label. Limited pressing, hand stamped with printed insert. Last copies!! "IMAGINARY SOUNDSCAPES", from JAMAL MOSS brings nine breathtaking compositions of raw electronic goodness that only he can concoct. From soft atmospheric sound environments to banging warehouse beat tracks. Pure sonic bliss. Ltd. 500 stamped clear vinyl with color poster.